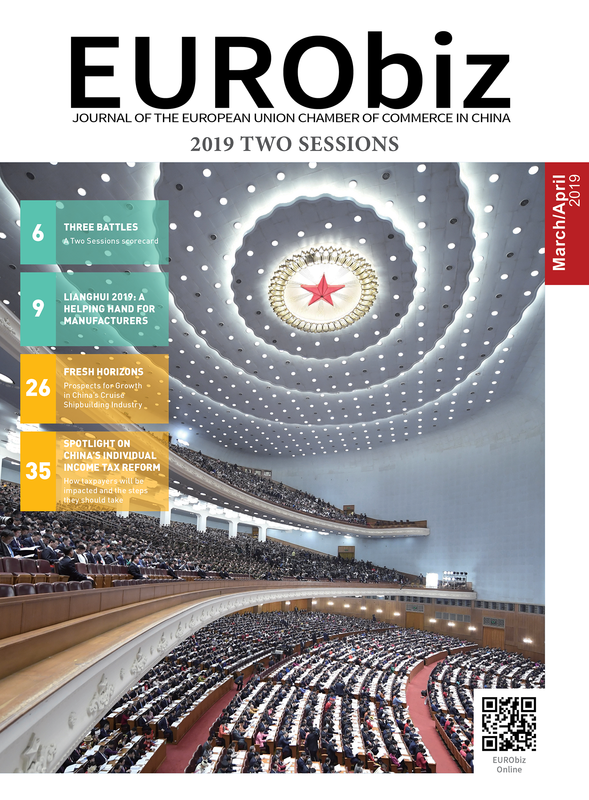 In the following article, Christophe Besse, First Counsellor, Trade Section, Delegation of the European Union to China, traces some of the key recent developments that have contributed towards stronger trade ties and outlines some of the remaining challenges. 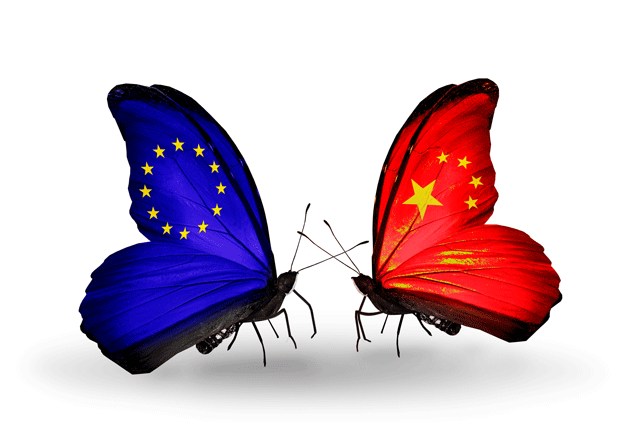 Commercial relations between the EU and China are dynamic and continue to grow. Between 1995 and 2013, EU imports from China increased 11-fold; over the same period exports multiplied by 10.5. These exports support over three million jobs in Europe, and today China is the EU’s second largest trading partner behind the United States (US). The relationship still has huge untapped potential: currently only two per cent of the EU’s foreign direct investment (FDI) goes to China, while 30 per cent goes to the US. There have been positive recent developments to the EU-China trade relationship. The adequate resolution of trade disputes made an important contribution to a broader positive agenda. The solar panels case, which was catalyst for the trade disputes on polysilicon and European wine, was settled through a price agreement in 2013; solutions were then found for settling the disputes over polysilicon, wine and telecoms equipment. Trade and investment aspects took on unprecedented importance during the Third Plenum sessions of the National People’s Congress (NPC) and the Chinese People’s Political Consultative Conference (CPPCC), both as a central instrument to achieve reform and as a pillar of foreign policy. As China edges towards an era of reforms, its agenda is orientated towards allowing the market to play a more decisive role and further opening up of its economy. ‘Opening up’ is considered to be fundamental to reform, and is a crucial tool for forging a more competitive Chinese economy. Explicitly mentioned at the top of China’s trade agenda are the investment negotiations with the EU and the US and free-trade agreement (FTA) negotiations with Korea and Australia. Such strong political signals did not go unnoticed in Brussels. In light of the reforms announced at the Third Plenum, the decisions taken at the Fourth Plenum of the Communist Party of China (CPC) were of great importance. A mature society and economy can only function within a predictable, impartial and non-discriminatory legal framework, and as far as Europe is concerned a predictable and non-discriminatory atmosphere for foreign business is essential. There is no better message that can be conveyed than the importance of the rule of law and the EU stands ready to share its extensive experience with China in this regard. Increasing transparency and continuing the fight against corruption are both essential if business confidence is to be increased. The pledges made during the Third Plenum—and reaffirmed in the fourth—to strengthen the rule of law and human rights protection and to promote independence of the judiciary, were welcomed. Further concrete actions now need to be delivered by China. In 2001, accession to the World Trade Organisation (WTO) provided a boost to China’s openness, which was central China’s remarkable success over the following years. If China is to succeed with its ambitious reform agenda, further opening up will be essential. China must liberalise at a level commensurate with its global stature, doing so will be important to tackling outstanding issues in the Doha Round as well as advancing many areas of plurilateral work, notably the green goods agreement and the definition of rules on export credit. Export finance is vital for the proper functioning of international trade, and China and Europe are two of the world’s most important providers. However, export credits need to be based on clear rules to make sure they don’t distort competition. A group of economies—including the EU and China—have been working on new international guidelines for the past two years, so it is now time to step up the pace of our work. 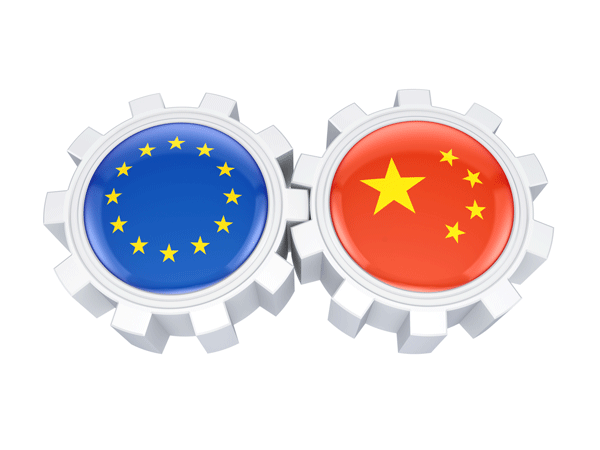 The EU strongly supports China’s participation in the WTO Trade in Services Agreement. Both the EU and China will step up their efforts to work towards the conclusion of the negotiations on the review of the WTO Information Technology Agreement (ITA). Both developments pave the way for more economic liberalisation in China. Partners are looking for unequivocal signals that China is ready to exercise leadership, though. An important step in this direction would be a credible, comprehensive revised offer to enter into the Government Procurement Agreement, which China already committed to join at the time of its WTO accession. China’s full implementation of its commitments is necessary for the credibility of the WTO system as a whole. The Comprehensive Agreement on Investment (CAI), currently under negotiation, is the ‘flagship project’ of the EU-China trade relationship. It would simplify the 26 existing bilateral investment treaties with China, provide more legal certainty for both Chinese and European actors, and improve foreign investors’ access to the Chinese market. Eventually, a deep investment relationship can benefit both economies in different ways. More European investments in China will bring more of the cutting edge technologies and business practices that are already helping China’s economic modernisation. On the flipside, the European economy badly needs investment to drive its recovery from the crisis. An acceleration of the pace of these negotiations would be welcomed. The EU and China are both satisfied with the progress made in the first rounds of negotiations. Covering investment protection and market access, they completed the conceptual exchanges on the main elements of a possible agreement, opening the way for text-based discussions. Both sides are eager to complete CAI negotiations as soon as possible: their conclusion could open up the possibility of negotiating a broader agreement, namely a FTA. In the field of customs and trade facilitation, a landmark EU-China mutual recognition agreement of programmes of trusted traders, signed by the EU and China in 2014, will enter into force this year. Trusted EU-China traders will enjoy lower costs, simplified customs procedures and greater predictability in their trading activities. Another positive development for 2015, is the negotiations for the EU-China Agreement on Geographical Indications (GIs), which are anticipated to conclude this year. The 40th anniversary of EU-China relations coincides with the launch of the ‘Tastes of Europe’ China campaign, which aims to underline the common importance of GIs for China and the EU. While overall EU-China relations are mostly positive, several areas remain where the EU would like to see China adopt different policies and attitudes. These are: the way financial support has caused over-capacity in many sectors, resulting in dumping practices; the way financial support has led to overcapacity in many sectors, and how that in turn stimulates exports at dumped prices; the way the standardisation and regulatory systems treat outsiders; the subsidies and other advantages enjoyed by state owned enterprises. It is worth noting that China has made significant efforts to improve its intellectual property rights (IPR) legal framework in recent years. However, it remains the main country of origin of goods suspected of infringing IPR: in 2013, 65 per cent of all counterfeit goods seized at European borders came from China. Since 2004, the EU and China have established an IP Regulatory Dialogue and in 2014, the EU launched two new initiatives: the EU-China Action Plan on IPR customs enforcement and a technical cooperation project named IP-Key for Sustainable Competitiveness. It aims at supporting European innovators and rights holders dealing with China through the development of an IP framework or environment in China that is increasingly effective, fair, transparent and otherwise based upon international best practices. The extent of Internet censorship in China seriously impedes normal business functions, trade globalisation and e-commerce. Internet instability, slowness of data transmission and lack of access to certain web pages seriously impact activities for business stakeholders. It is also adversely affecting China’s ability to attract top researchers. These are problems for European companies exporting to and investing in China, but China needs to tackle these issues for domestic reasons too. They would help achieve the goal of assigning prices and resources in a more efficient way, and would introduce more space for Chinese start-ups and newcomers—as well as international firms—to compete with and challenge today’s big players. Share the post "From strength to strength: 40 years of EU-China trade relations"